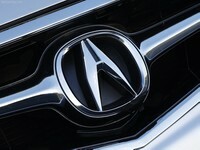 Acura is an upscale automaker known for offering cars with impressive levels of luxury, features and performance. It's come a long way in a short time, however, as the history of Acura is relatively brief. Parent company Honda introduced the Acura brand to the U.S. market in 1986 in an effort to create a separate luxury division for its products. At first, it was just a two-car show: the Legend sedan, which was the first true Japanese luxury car sold in America, and the Integra sport coupe and sedan. Though essentially a marketing creation for the North American market, the Acura brand was immediately successful. Consumers liked the features, performance and upscale image of Acura cars, along with the fact that Acuras were backed by Honda's reputation for reliability and low ownership costs. In 1991, Acura introduced its crown jewel: the all-aluminum NSX sports car, which offered performance close to that of other exotic cars while undercutting them in price. Take one part car shoppers' desire for improved fuel economy, add two parts automakers' never-ending quest to bring younger buyers into the fold, shake well, and you have the Acura ILX. Although based on the Honda Civic platform, the Acura ILX has enough different about it to fully justify its position as Acura's most affordable luxury sedan. It starts with sleeker styling as well as a higher-quality interior. Drivers seeking a sporty sedan that's a bit more upscale than the typical family four-door will find a lot to like in the Acura TSX. It's a solid choice for daily use given its competent driving characteristics, high-quality interior and generous level of standard features. And like most Acura products, the TSX boasts a high level of refinement, a reputation for above-average reliability and decent value for the dollar. When it comes to flagship luxury sedans, most European and Asian automakers start with a rear-wheel-drive platform and a standard -- or at least optional -- V8. As an outlier, Acura has held fast to its belief that V6 power is more than capable. This is partly mindful of fuel economy concerns and partly due to the fact that Honda simply doesn't make a V8 for any application outside of motorsports.